Bettis Names Steelers Fan Brother as HOF Presenter | "IT'S A STEELERS WORLD"! Pittsburgh Post-Gazzette’s, Ed Bouchette reports that Jerome Bettis has chosen his brother John Bettis III to present him at the Pro Football Hall of Fame induction ceremony Aug. 8 in Canton, Ohio. “My brother has been the biggest Steeler fan in the world since we were kids,’’ Bettis told the Pittsburgh Post-Gazette Wednesday. “All he wanted was for me to play for the Steelers and when that opportunity came there was nobody happier than my brother. Bettis said his father, John Bettis II, who died in 2006, would have been his first choice, but his brother is more than willing to make the introduction. 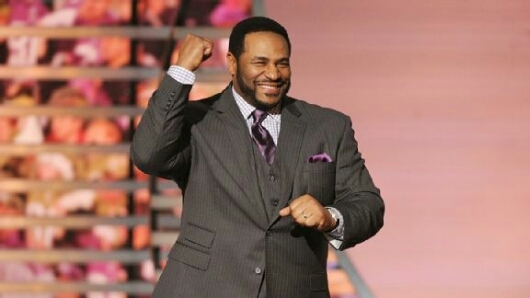 Regardless of who is presenting Jerome Bettis in the 2015 NFL Hall of Fame, we can all definitely agree that it is an honor well overdue. Congratulations once again to “The Bus”!